The Kali Besar filtration project at Kota Tua, Taman Sari, West Jakarta is accelerated. It is targeted the project to finish by the end of this year.
" 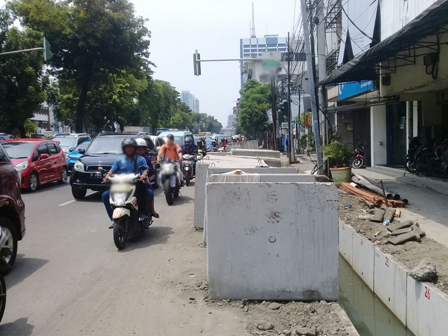 We're optimistic Kali Besar revitalization project to finish by the end of this year"
West Jakarta Economy and Development Assistant, Fredy Setiawan, said filtration engine box will be developed by this week. It is placed under Asemka Flyover. "The area has been flattened. Now we are still waiting the engine," he said, Monday (10/16). According to him, contractor has targeted to finish the engine installation by this month. "We're optimistic Kali Besar revitalization project to finish by the end of this year. Citizens are able to enjoy the revitalization area as their new tourism site," he closed.